Why big is not always beautiful? In this day and age of skyrocketing real estate prices where many retailers are following the small format trend, some still believe that it is the big that reap rich reward but the truth is something else. Lower growth in cultivation coupled with increased demand, bad weather and resultant reduction in crop yields and crop damages, trade controls, diversion to use as bio-fuels, hoarding by middlemen, and even the base effect of index changes. The real reason will surely be a combination of all or some of the aforementioned factors, depending on the crop. But we have ignored the fact that big retailers may be putting upward pressure on prices by their hoarding effect and contributing to the inflation story. Big retailers, with their advantage of bulk procurements, large godowns and cold storage ownership and product purchase agreements with large number of farmers are in a position to exercise market power. Bulk supply or shortage has a top-heavy effect on prices. 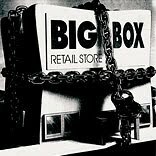 Albeit there is a spurt of big box retailers in India over a period of time but there is no corresponding spurt giving rise to a competition to source more or less the same supply.The big retailer influence the price as their retail prices are 40 percent less than the general market.The general market is left with no choice but a shortage of supply. The explosion of food retail chains have restricted their excess to small section of urban population.As they exercise considerable market power in the market from where they procure, this generates a ripple effect. Local prices shoot up affecting the corresponding or nearby markets. When these big retailers hoard bulk procurements in advance directly from producers and middlemen, the supply side experiences constraints due to some reason, the retailers amplify the impact on the market. This in turns drains an equivalent quantity from the already drained out reservoir. The local market bears the brunt of any supply squeeze, thereby putting upward pressure on prices in all market. Harish Bijoor of Harish Bijoor Consults INC shares sarcastically, “ Well, these big box retailers lure us to buy even the inessentials, thus giving impetus to inflation”. Is e-commerce a threat to traditional retail?